What is a MegaSquirt® EFI Controller? Which MegaSquirt® is best for my application? Where can I find the set-up parameters for my particular engine? Are MegaSquirt® EFI controllers emission legal? What do all the version numbers mean for the hardware and code(s) for MegaSquirt® EFI controllers? I don't know my code version, either because I forgot it, or I bought the MegaSquirt with unknown code loaded on it. How can I find out what code is on my MegaSquirt? Can I save the existing settings? What if I have an electronically controlled automatic transmission (such as a GM 4L60e), can any of the MegaSquirt® controllers provide shift solenoid control? Will I be able to tune the shift points, etc.? How can I find out more about MegaSquirt® EFI Controllers? Where can I ask questions about MegaSquirt® EFI Controllers? Is there a PDF of the manual for me to read off-line? How do I purchase a MegaSquirt® EFI Controller and other items? How does the MegaSquirt® EFI Controller work? Can I do sequential injection with a MegaSquirt® EFI Controller? Who created the MegaSquirt® EFI Controllers? Is it a big corporation? What other hardware is there for MegaSquirt® EFI Controllers? What are the advantages and disadvantages of MegaSquirt® EFI Controllers? What skills, parts, and tools do I need to assemble and install a MegaSquirt® EFI Controller? Will anyone sell me an assembled MegaSquirt® EFI Controller? Do I need a PROM burner to make tuning changes? What happens if I can't get my MegaSquirt® EFI Controller to work despite advice from the forums? Am I stuck with my dead MegaSquirt® EFI Controller? What if I need ignition control as well? Is anyone running a MegaSquirt® EFI Controller right now? Is there a simpler version of the MegaSquirt® EFI Controller to only control extra injectors piggyback style? Can I design my own MegaSquirt® Controller? In general, the MegaSquirt® family of EFI Controllers by Bowling and Grippo is not designed to be a 'no hassle' solution to user's EFI needs. Instead it is intended to be an educational process. As a result, a large amount of reading and study is required. If you are new to the MegaSquirt® community, you may find there is a lot of new information to digest, and much of it will seem confusing, or even contradictory. Your best bet is to read and re-read the FAQ and the manual thoroughly. There are a large number of considerations, options, and independent hardware paths that may suit you and your vehicle, but only you know your wants, needs, and abilities. As well, any of the family of MegaSquirt® EFI controller are 'universal' ECUs, and it is up to the user to sort out the details for their vehicle. Others may be able to provide some help on your vehicle, try the forums at www.msefi.com for general MegaSquirt® information and support, or look on the DIY Autotune site. Some other distributors (see the distributors listings) also have application specific guides. You might also want to check out the MSextra code for MS-II that adds some features to the base hardware, such as sequential fuel and COP ignition control for up to 4 cylinder, or the MS3 controller that provides sequential for up to eight cylinders. MegaSquirt® EFI controllers are for experimental and educational purposes. No warranties are expressed or implied. Neither Al Grippo nor Bruce Bowling are responsible for the construction, installation, or targeted use of this unit. This unit has been tested on many engines, however, it is an experimental unit and the end-user assumes all responsibilities for its use and application. Do not use in an aircraft which, if the unit fails or ceases to operate properly, can fall out of the sky. Do not use on a boat where, if there is a failure, results in a situation where the vessel is stuck in a hurricane and sinks to the bottom of the ocean. In other words, follow the manual carefully, and seek authoritative help if you have questions. This FAQ, our manual, and our forums are solely for the support of MegaSquirt® boards by Bowling and Grippo. Q. What is a MegaSquirt® EFI Controller? A. The MegaSquirt® family of EFI controllers (including MS-I™, MS-II™, MicroSquirt™, and the MS-II Sequencer™) are intended as educational projects for those who want to learn about electronic fuel injection. They are experimental Do-It-Yourself programmable electronic fuel injection controllers that you build yourself. MegaSquirt® controllers will work on virtually any liquid fueled spark-ignition engine, naturally aspirated or boosted (up to 21 psi boost with the standard MAP sensor) as long as they are not 'pollution controlled'. Note that any MegaSquirt® EFI controller is the controller only, you will have to gather the remaining fuel system parts yourself (from 1 to 16 injectors, sensors, fuel rails, fuel pump, etc.). Experimental means that YOU are responsible for sorting out some details of your fuel injection that are specific to your application. Do-it-yourself means that you save money by assembling it yourself with a few basic tools and comprehensive instructions. A MegaSquirt® EFI Controller will provide fuel control on one to 16 or more injectors, of high or low impedance, and for any number of cylinders, even three and five cylinder engines and odd-fire engines. If you have MegaSquirt-II, electronic control of number of ignition systems are supported, including: 7 or 8-pin HEI from General Motors, EDIS from Ford, TFI from Ford, or you can control a single coil directly. For fuel only control, you can trigger off an inductive coil's negative terminal (but not a capacitive discharge coil (CDI) coil, such as a MSD 6a, which will need an appropriate conditioning circuit). Processor: You can select one of two processors (68HC908 or MegaSquirt-II). MegaSquirt-II has a faster processor, better injection pulse resolution, and has a number of added functions (like a ignition control, stepper IAC driver, and user configurable spare outputs for things like fan control or shift lights). 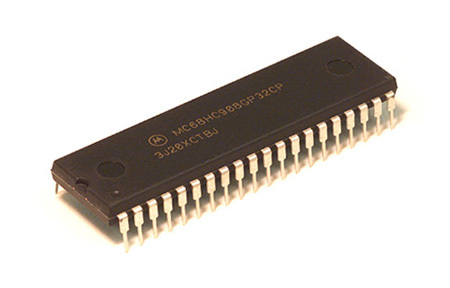 The 68HC908 processor, used for MegaSquirt-I™, is a small black integrated circuit (chip) about 0.6" x 2.0". MegaSquirt-II™ processor upgrade (aka. MS-II™ or MS2, also used in MicroSquirt™ and MS-II Sequencer™ controllers) is a small (1.15" x 2.6") assembled PCB (printed circuit board) that plugs into the same 40-pin socket on the main board as the 8MHz 68HC908 processor, but uses the much more powerful 24MHz MC9S12C64 processor. MegaSquirt® DIY main board or printed circuit board (PCB): This can be based on one of four PCBs (V1.01/V2.2/V3, or V3.57). All the PCBs are similar, and all are 6.00" by 4.00" (~152.4mm x 101.6mm) but later versions have some added features that make some installations more convenient. The V3.57 board is mostly surface mount devices (SMD), and it is not a DIY board, but it is the same size and fits in the same case. MS-II Sequencer™ controller (fully assembled with full sequential fuel injection for up to 8 cylinders, and full COP control for up to 8 cylinders). Embedded code (aka. 'firmware' or 'code'): this is loaded onto and stored on the MegaSquirt. It must match the processor you are using. There are sometimes several options for a particular processor, for example to the standard code for the 68HC908 processor. The MS-II code can be found here. All of the codes are free to download to upgrade older MegaSquirt® controllers. Tuning software (TunerStudioMS, etc. ): this is a Java cross-platform application. It runs on a laptop or notebook computer, and lets the user see, adjust, and record ("datalog") the tuning parameters by 'talking' with MegaSquirt® through the serial port (the laptop has a serial port, and MegaSquirt® does too. A DB9 cable connects them. This part of the system, the tuning software is where you do most of your 'interaction' with MegaSquirt. The tuning software has been designed to work with any of the code/processor combinations, but you may have to configure it. Click the link above to get the lastest version. There is also the stim (aka. "stimulator", or "MegaStimulator"). This essentially duplicates the engine signals that MegaSquirt® would see in the car, letting you see if everything is working (by monitoring it with TunerStudioMS). Q. Which MegaSquirt® is best for my application? a. Will you built it yourself? 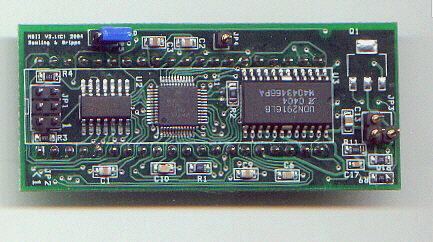 If NO, then you will likely want a 3.57 main board with either an MS-I™ or MS-II® (see below) processor, or MicroSquirt®. If YES, you are building MegaSquirt® yourself, you have the option of V2.2 or V3 main boards. V2.2 is slightly cheaper, but the V3 main board has many more options, improved circuits, and more extensive documentation. We recommend V3 in all cases. b. Will you be controlling ignition timing? If NO, then MegaSquirt-I™ will most likely suffice. If YES, then an MS-II® or MicroSquirt® (or MS-II Sequencer®) is your best option for controlling spark advance. MicroSquirt® or MegaSquirt-II™ can control up to two ignition outputs, meaning either can do a 4-cylinder engine with 'wasted spark' ignition. For full sequential fuel injection with up to 8 ignition outputs (up to 8 cylinders), the upcoming Sequencer controller is your best bet. c. Is there anything you'll need to control besides fuel and ignition? d. What size injectors will you be running? If you are running large injectors for your displacement (typical of high output engines - turbocharged engines, race engines, etc. ), you will likely need MS-II®, MicroSquirt®, or MS-II Sequencer™, as these have 100 times better pulse width resolution than MS-I™, which really helps when trying to set the idle and cruise pulse widths. Non-B&G code may offer other functions on various hardware combinations. Q. Where can I find the set-up parameters and wiring tips for my particular engine? There are descriptions of a number of the parameters in TunerStudioMS here: www.megamanual.com/mt29.htm. There are also various technical guides (that may have vehicle specific information) at the DIY AutoTune site. However there are a many ways to get 'head starts' on things like VE table, etc. One is to copy the setting from someone who has a similar combination of parts. You can look for similar vehicles in the 'Success story' forums here: www.msruns.com, and 'private message' the person using the button at the bottom of the post. You might also look on the DIY AutoTune site for information about using MegaSquirt® on your vehicle. However, please be aware that you will very likely have to tune the parameters, even if you are using settings from an apparently identical set-up. Q.Are MegaSquirt® EFI controller emission exempt in the U.S.A. or other locations? Q. What do all the version numbers mean for the hardware and code(s) for MegaSquirt? If your V2.2 main board is RED, your board is NOT a Bowling and Grippo main board, and the instructions here DO NOT APPLY to your board. You may wish to ask your seller to exchange it for a genuine B&G board, or give you your money back. If the seller won't exchange the board for a real board, or give you your money back, you should complain to eBay/PayPal (assuming it was an eBay purchase). V3 DIY main board that has a number of extra features specifically designed for MS-II (V3 PCBs were released July, 2005) (they can be identified because they are primarily blue, and by the large heat sink area and the proto area grid). MS-II Sequencer™, an enhanced version of the MicroSquirt® with sequential injection and individual cylinder fuel and spark advance trim (in the planning stages). MS3 controller is also available. It uses a more powerful processor with expanded inputs and outputs to allow sequential fuel and coil-on-plug control for up to eight cylinders. MegaSquirt-II™ code, that runs only on MegaSquirt-II™ processors and provides ignition and stepper IAC control as well as user configurable spare outputs. MegaSquirt-II™ (MS-II™) will work with V1.01, V2.2, V3, or the V3.57 main boards. The ease with which you can take advantage of all the features (stepper IAC for example) becomes easier with a higher numbered version of the main board, as more of the wiring is in place and just needs jumpers connected to set it up. However, it can be done on any board, it is just harder on some. Q. I don't know my code version, either because I forgot it, or I bought the MegaSquirt with unknown code loaded on it. How can I find out what code is on my MegaSquirt? Can I save the existing settings? Unzip the file. The program does not need to be installed, you can just click on the portcheck.exe icon to start the program. Run this on a Windows PC with your MegaSquirt controller hooked to the MegaSquirt controller using a 'straight-through' serial port cable. It will query each of the COM ports on your computer at various speeds (aka. 'baud rates') until either a code version signature is reported (telling you what code is loaded on the controller) or all the possibilities are exhausted (telling you that you have no communication with the controller - see below). Once you have connected with TunerStudio, it will automatically grab the current user settings from the controller. To save these on your PC, go to 'File → Save Tune As' in TunerStudio to save an MSQ file of all the current settings. If you don't care to preserve the settings (if it was from a completely different or unknown application, for example), you can skip PortCheck, and just reload new code, see this: http://www.megamanual.com/ms2/code.htm - this will wipe out the old code and settings and leave the controller in a 'fresh' state). Q. What if I have an electronically controlled automatic transmission (such as a GM 4L60e), can any of the MegaSquirt® controllers provide shift solenoid control? Will I be able to tune the shift points, etc.? and many, many more functions and features. See the MShift™ website for more information on MShift™/GPIO. Q. How can I find out more about MegaSquirt® EFI Controllers? A. Read this page first, then read the manual by following the link to the table of contents, it should answer most of your questions. Q. Where can I ask questions about MegaSquirt? A. For even more info, or to ask MegaSquirt®-related questions, register with one or more of the MegaSquirt® support forums (you have to register with each forum separately, but you can use the same username - if available - and password for all of them). However, be sure to read the applicable sections of this FAQ and the megamanual before posting on any of the forums, as many users will not respond to questions that are already answered in this FAQ or megamanual . Also, be sure to read the forum rules for our forums, as these rules may be different from what you may be used to on other forums, and transgressions may not be treated lightly. www.msefi.com: Educational, development, and research on the base B&G MegaSquirt® code and hardware. This was the original forums, but has been 'down-sized' considerably to make information and support easier to find. www.microsquirt.com: Dedicated forums for MicroSquirt® users who are looking for details specifically about MicroSquirt® EFI controllers. www.msGPIO.com: A forum for discussing the expanded input/output GPIO board for MS-II™/ MicroSquirt® from Bowling and Grippo, including applications such as the MegaShift™ transmission controller. www.msextra.com: A forum for discussing the MSextra code for MS-I and MS-II controllers, as well as for discussing the expanded MS3 controller. www.msgroups.com: Specialized user groups based on location, application, or specific interests. Q. Is there a PDF of the manual for me to read off-line? A. Maybe. The manual is updated and expanded frequently, and as a result the web version is always the best source for info (and should be the first place you look for information). In some cases, some of the more stable parts of the manual have been made into PDF files, and posted here: www.megamanual.com/files/docs/. Any references to the long obsolete 'MegaTune' software in these documents (or anywhere else on our sites) should be replaced with 'TunerStudio', of course. Import any current web page of interest into a word processor (such as the free Open Office) and format it for your printer. With Open Office, you can open a MegaManual web page directly by entering the URL into the 'File name' text box under 'File/Open' (and you can then directly export it as a PDF file if you wish). This way you will have the latest information and corrections. Q. How do I purchase a MegaSquirt® EFI Controller and other items? A.Bowling and Grippo do not sell MegaSquirt® products directly. You can buy complete kits (which include everything - the PCB, programmed processor, all required electronic parts, along with the case, etc.) from MegaSquirt® distributors that accept alternative forms of payment. Be SURE to check the Products and Services forum on www.msefi.com for information on the reputation and service of particular distributors before ordering. In general, you should be very cautious of distributors not listed below. Offers the full line of Bowling and Grippo's MegaSquirt® Products as kits or fully assembled and ready for use. All kits are fully labeled, including everything you'll need to build your own unit. Additionally DIYAutoTune.com carries wideband o2 systems and other tuning products that integrate nicely with your MegaSquirt® Engine Management System. Same day shipping on in-stock orders received by 2pm EST. is Philip Ringwood's site (one of the authors of the MSnS-Extra code) dedicated to UK and European based sales of fully assembled and tested MegaSquirt® ECU's running the MSnS_Extra code. The ECU's include a wiring harness, RS232 communication cable and the relevant software / drawings, etc. is dedicated to supplying the highest quality EFI products to the performance minded automotive community. Our goal is to make programmable EFI systems affordable to everyone without sacrificing quality or functionality. We will constantly be adding new products in order to meet this goal. offers a line of fully assembled, developed and integrated MegaSquirt® engine management packages for VW, Audi and other import vehicles. Each KPTuned MegaSquirt® ECU is specifically modified for the intended installation with all additional circuits installed, a custom wiring diagram provided, pre-configured software and vehicle start-up support available. Wiring, installation and tuning services are also available on site upon request. A MSBR © a casa da MegaSquirt® no Brasil. Seja bem vindo e tenha acesso ao que existe de melhor no mundo a presos nacionais. Venha nos conhecer! Distribuidor Oficial Megasquirt® en Argentina, Buenos Aires. PCB´s Originales B&G, los únicos con soporte técnico post venta y amplia experiencia en el rubro. Nuestras Megasquirt®s originales salen 100% testiadas y con garantia local, tambien ofrecemos el servicio de instalación , reparación y puesta a punto de ecus programables megasquirt y otras. Somos un punto de venta para otros productos relacionados con la competición como bujería, volantes de acero, depósitos de venteo, intercoolers, watercoolers, inyectores, widebands, mangueras siliconadas entre otras. Distribuidor oficial de MegaSquirt® España, asesoramos y ayudamos de forma personalizada en la instalación, configuración y ajuste de tu proyecto, para ello disponemos del KIT sin montar o proporcionamos la ECU totalmente montada y preparada para el arranque. Disponemos de las herramientas necesarias para el ajuste y de todo lo necesario para realizar tu instalación, ademas de componentes adicionales. Desde Buenos Aires, con representantes en todo el pais, somos los primeros distribuidores de Megasquirt® para Argentina. Contamos con la mayor experiencia en el rubro ofreciendo la gama completa de productos originales de Bowling & Grippo, en unidades armadas o kits para ensamblar. Tambien distribuimos sistemas wideband en forma oficial, servicio de reparacion de ecus, instalacion y puesta a punto. A dedicated tuning company specialising in the sales, installation and dynotuning of the MegaSquirt® System on all engines and types of vehicles We offer custom supercharger, turbocharger installations, fuel injectors, fuel pumps. and a range of Eaton M90 and M122 Superchargers You can rest assured your vehicle is in professional hands. FenixEcu est distributeur officiel de la gamme Megasquirt en France depuis 2008. FenixEcu vous accompagne de la définition du produit adapté à votre projet jusqu'à la mise en route de votre moteur. Reconnu par la profession pour le niveau d'excellence et la qualité de ses produits, FenixEcu vous propose tous les outils nécessaires pour l'automobile d'aujourd'hui et de demain. De Chihuahua para México, somos distribuidores de productos megasquirt en toda la Republica Mexicana, proporcionamos un excelente servicio y asesoria en cada venta que realizamos, con nosotros adquieres confianza y seguridad en tu compra, contamos con un punto de venta adicional de kits de turbocargadores (intercoolers, blow off, wastegate, manifolds etc), widebands y otros productos. Note that there are also a number of vendors selling MegaSquirt® in other venues, such as eBay. These vendors do not all have the same level of build quality, customer service, or commitment to the MegaSquirt® community as the distributors listed above. If you are not sure about a vendor, ask for customer feedback on www.msefi.com, and check how active a vendor is on those forums as an indication of their level of support. Note that there are also a number of vendors selling MegaSquirt® EFI controllers in other venues, such as eBay. These vendors do not all have the same level of build quality, customer service, or commitment to the MegaSquirt® EFI controller community as the distributors listed above. If you are not sure about a vendor, ask for customer feedback on www.msefi.com, and check how active a vendor is on those forums as an indication of their level of support. Did I Buy a Counterfeit MS/MS-II Board? No Bowling and Grippo printed circuit board may be copied for any purpose whatsoever without the express permission of Bowling and Grippo, regardless of whether it will be used with other legitimate B&G hardware or not. While not a new problem, reports of counterfeit Megasquirt®/MS-II™ boards have become increasingly frequent over the last year (2009), as have reports of poor design, workmanship, and above all, poor or non-existent tech support for these boards. And often they are not even cheaper than legitimate boards. If you are stuck with one of these boards, it may work for a while, it may fail intermittently, or permanently. It may never work. We cannot help you with troubleshooting these boards, since we do not know how they are designed or built. While we welcome innovation, there has to be some order to it or there is no longer a community. We encourage people to innovate new add-ons, new software, new applications for special purpose engines, etc. For this reason we have prototype areas and module versions of our boards, and we have GPIO boards that can handle all sorts of exotic and niche applications. And there is a wealth of very basic documentation on how anyone willing to learn can do this. People are free to innovate and sell these all they want. But that requires innovation and hard work - apparently it is easier to steal an existing design. Check the authorized dealers and resellers links above before you buy. These vendors are known to provide genuine B&G boards and provide good to excellent customer service. Because the list may not always be up to date, and because resellers may be very small entities, they may be legitimate, but not on the list. If they aren't, ask them which dealer they buy their raw boards from, then verify with the dealer. A legitimate vendor won't have a problem with this, in fact, it is a selling point to them. If you have already purchased a board, there are several ways you can check if the board is legitimate or not. This is particularly easy before assembly, but can also be done on fully assembled boards. For example, a red colored main board has never been produced by Bowling and Grippo. Other counterfeits are different in more subtle ways. If you are unsure, ask on the forums at www.msefi.com for more details. If your board is a counterfeit, ask the seller to replace it with a legitimate B&G version, or ask them to give you all of your money back. Q. How does a MegaSquirt® EFI Controller work? A. MegaSquirt-I uses the Motorola 68HC908 microprocessor and a Motorola MAP sensor to provide electronic fuel control. The MegaSquirt-I assembly code for MegaSquirt-I is available on the MegaSquirt web site, for anyone who wishes to view or customize it. A freeware compiler for MS-I is available too, so there are no extras to buy. All MegaSquirt® EFI Controllers use Java-based TunerStudioMS software for firmware reprogramming, engine monitoring, and tuning. Even without a computer connected, the three LEDs on the MegaSquirt case allow you to monitor injection pulses, warm-up enrichment, and acceleration enrichment at any time. Q. Can I do sequential injection with a MegaSquirt® EFI Controller? Throttle body injected cars are usually batch or bank fire, simply because of the geometry. Most port injection set-ups before the mid-1990s were bank fire as well (including GM Tuned Port Injection for the 305/350). at least as many injectors as you have cylinders, with one dedicated to each cylinder (i.e., not a 4 injector TBI on a 4 cylinder). and also requires a camshaft position sensor (a crank sensor is not adequate for a 4-stroke cycle engine). Until the MS-II Sequencer™ is released, MegaSquirt® has just two injector drivers (that can handle up to eight injectors each). you can tune each cylinder's fuel amount and spark timing independently (if you know how). The effect on maximum horsepower is general small. as the duty cycle for the injectors rises, the injectors come closer and closer to squirting all the time, and injection timing becomes irrelevant. However, for those applications for which sequential injection is desirable to maximize idle stability and smoothness, lower emissions, and make incremental improvements to cruise fuel economy, Bowling and Grippo are working on the 'MS-II Sequencer™' for which WILL do sequential injection for up to 8 cylinders (and can be used to operate COP ignition systems as well). It will likely not be released until late 2013. Also, note that MS-II code versions 2.8+ allow the user to vary the timing of the injection, so that it doesn't necessarily coincide with an ignition event. This can help avoid spraying into the valve overlap period, etc. See Injection timing delay. You can also check out the MSextra code for MS-II that allows sequential fuel and COP for up to 4 cylinder, or the MS3 controller that provides sequential for up to eight cylinders. Q. Who created MegaSquirt®? Is it a big corporation? A. MegaSquirt® EFI Controllers result from a project developed by and for automotive enthusiasts. It was primarily developed by Bruce Bowling and Al Grippo, who provide the printed circuit boards, programmed processors, base code, and other essential parts, such as the stimulator designed by Jeff Clarke. Bowling and Grippo give the major developers of MegaSquirt® items like extra hardware in order to implement and test code, and money to purchase needed tools (i.e. server space to support this forum, for instance). They also give them additional money as funds dictate - which then typically gets spent on MegaSquirt® projects. So no-one should ever feel they have to donate to developers, as developers are provided for by Bowling and Grippo. MS Palm - to tune and datalog MS-I with a Palm (Roger Enns). Q. What other hardware is there for MegaSquirt® controllers? MegaView - a dedicated display for the MegaSquirt®. GPIO Board: for general input/output monitoring and datalogging as well as transmission control using the flexible MShift™ code, etc. Q. What are the advantages and disadvantages of the MegaSquirt® EFI Controllers? Has anyone done a feature comparison with other programmable ECUs? Many aftermarket ECUs either come with, or recommend, specific fuel supply hardware. Obviously a MegaSquirt® EFI Controller doesn't do this, which makes an apples to apples comparison difficult. On the other hand, MegaSquirt® EFI Controllers are fully compatible with a 'junk yard', budget approach to sourcing components. Q. What skills, parts, and tools do I need to assemble and install a MegaSquirt® EFI Controller? A. In order to make the MegaSquirt® controller work on YOUR car, boat, chainsaw, or whatever, you will need a variety of tools, skills, and knowledge. You also need a number of fuel injection components, as a MegaSquirt® EFI Controller is the electronic controller only. Click here for a complete list of skills, tools, and parts you NEED to install a MegaSquirt® EFI controller. The actual assembly of a MegaSquirt® EFI Controller is somewhat tedious, but straight forward. There are comprehensive instructions for all phases of the assembly. For example, look here for the v3 main board instructions, and here for the stim assembly instructions. You do need to be able to solder (it isn't difficult), and you do need to be able to follow written instructions. If either of these are a problem, you should consider purchasing an assembled MegaSquirt. Installing the MegaSquirt® EFI Controller in a vehicle that already has EFI means you will need to consider how you will run any other devices the OEM ECU controls [such as the transmission, speedometer and other gauges, and emissions devices], how you will interface the MegaSquirt® EFI Controller to your existing wiring harness, and whether you can reuse your existing sensors. Q. Will anyone sell me an assembled MegaSquirt® EFI Controller? A. Yes. Check the 'Products and Services' advertisements by clicking the link. These distributors sell genuine Bowling and Grippo boards, kits, and complete MegaSquirt® EFI Controllers. Among these items are the assembled surface mount device (SMD) 3.57 main board for MS-I™ and MS-II™, and the fully assembled MicroSquirt® controllers. Q. Do I need a PROM burner to make tuning changes? Programming skills. The .S19 embedded code for MS-I or MS-II is already written and loaded (but can be reloaded or upgraded by the user without any additional hardware other than a laptop and serial cable), and the TunerStudioMS tuning interface is a straightforward Java cross-platform application (including all versions of Windows greater than Win95). PROM burner to make tuning changes. A serial port connection allows adjustment of all the tuning parameters as well as software updates. Advanced electronic skills. If you can solder and follow directions, or are willing to learn, you should be able to successfully assemble MegaSquirt. You do not need to know what every component does, there is a comprehensive assembly guide for the entire assembly and testing process. Latest laptop computer. In fact, newer computers often do not have the serial port that is needed to communicate with MegaSquirt. Q. What happens if I can't get my MegaSquirt® EFI Controller to work despite advice from the forums? Am I stuck with my dead MegaSquirt? A. Peter Florance, who runs an electronics repair business, and who is a very active and informed member of the MegaSquirt® community, has offered to troubleshoot and repair MegaSquirt® EFI Controllers for those in need. The fee is based on standard shop rates, with a ½ hour minimum. You can contact Peter at: peter@firstfives.org. Q. What if I need ignition control as well? A. If you need electronic ignition control as well as fuel control (i.e. you can't, or don't want to, run a 'standard' distributor), you can use the MegaSquirt-II daughtercard for MegaSquirt® main boards that will run the GM 7-pin HEI, GM DIS, and Ford EDIS, as well as some others. It also has dual 12×12 VE and AFR tables, as well as an independent 12×12 spark advance table and stepper motor IAC control. You can find out more at the MegaSquirt-II site and ask questions at the MegaSquirt-II forum. Q. Is anyone running a MegaSquirt® EFI Controller right now? A. Yes, thousands of people are. There is a large community of people who have got their vehicles running using a MegaSquirt® EFI Controller, see www.msefi.com. Here are some of their success stories! Also check Per Schroeder's Grassroots Motorsports article from their October 2005 issue, or Jeff Smith's Car Craft article on the MegaSquirt® EFI Controller from their March 2004 issue. Q. Can I use a MegaSquirt® EFI Controller on a rotary engine? A. Yes. There is much more information on how to use a MegaSquirt® EFI Controller with a rotary engine on the MegaSquirt & Rotary Engines page. Q. Is there a simpler version of MegaSquirt® to only control extra injectors piggyback style? A. You can use the standard MegaSquirt® EFI Controller to control extra injectors. You wouldn't need to hook up the coolant temperature sensor, if you didn't want to, you would just set all the temperature dependent values to 100% (warm-up enrichments, cold accel enrich., etc.). You don't need to hook up an oxygen sensor, just set the EGO step size to 0%. For the air temperature sensor, you would just hook a resistor across the pin (#20) where the sensor would normally connect. This resistor could have any value from the sensor curve (in the sensor section of the manual) to approximate whatever temperature you think appropriate, or you could use a potentiometer to tune the extra fuel with a single knob. There aren't substantial differences in between tuning a piggyback or a stand-alone, except you must remember that you are tuning added fuel over and above what the the OEM ECU is supplying, so you put zeros where you don't want extra fuel (in the VE table, accel enrichments, or wherever). In theory, you could eliminate some components (mostly a few resistors) from the PCB if doing this, but they are generally so cheap as to not be worth the trouble of omitting. Of course, you can retain any or all of the standard MegaSquirt® sensors to gain additional control and tune-ability over the extra injectors. ©2004, 2014 Bruce Bowling and Al Grippo. All rights reserved. MegaSquirt® and MicroSquirt® are registered trademarks. This document is solely for the support of MegaSquirt® boards from Bowling and Grippo.